“This accolade and acknowledgement of my work couldn’t have come at a better time in my career as it will encourage me to work harder, smarter and with a newfound focus. We have incredible talent in South Africa, and it is therefore an enormous and much needed reassurance to all young creatives to know that their work and efforts do not go unseen, and that there are many organisations and knowledgeable people that follow their careers with interest,” he adds. After gaining ample practical experience in the field of design and manufacturing, and also assisting Wim Botha for almost three years, Wiid Design was officially created. The studio, established in 2010, explores the idea of luxury by incorporating handmade elements in all pieces that they design and produce. Laurie sees his work as an interface between art and design. His large-scale, limited edition benches have garnered global attention at Design Days Dubai, Design Miami/Basel in Switzerland and Design Miami in the US, and was exhibited as part of the prestigious Southern Guild portfolio. A keen collaborator, Laurie often works with artists and designers like Lionel Smit, Wim Botha, Atang Tshikare, dhk Architects and Ceramic Matters – on projects aimed at pushing boundaries and experimenting with new materials. Laurie received the “Maker to Market” Award at the annual Southern Guild Design Foundation awards ceremony in 2013. 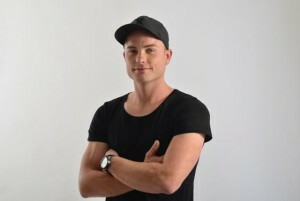 He was also a finalist in 2011’s Absolut Visi Designer of the year competition in the Emerging Designer category and has exhibited his work at international design fairs such as 100% Design in London, Design Days Dubai, Design Miami/Basel in Switzerland and Design Miami. His company, Wiid Design was awarded the “Conde Nast House & Garden award for production excellence in South African design” at 100% Design South Africa in 2014 and the “Best Lighting Design” award in 2015. Wiid’s product range includes furniture items such as stools, side tables, dining tables and benches and also a range of lighting and tableware pieces. Each winner will receive a cash prize of R2 000, a certificate, a spread in Creative Feel Magazine worth over R30 000 and additional PR opportunities that will be generated through the ACT Awards. ImpACT Award recipients will also get ongoing backing from ACT in the form promotional support in their professional careers. Other ImpACT Award Winners include: Lindiwe Maxolo (Music & Singing), Benon Lutaaya (Visual Art), Letlhogonolo Nche (Dance), POPArt (Theatre) and Jessica Denyschen (Special ImpACT Award). 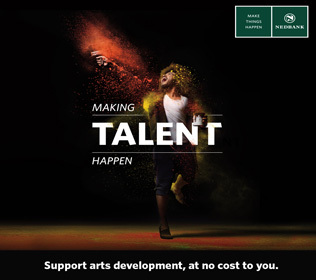 Click here for more information about the Arts & Culture Trust (ACT).